Success of the Oprah liquid diet hit the airwaves back in 1988 when Oprah Winfrey walked onto the set of her show and unveiled her new svelte size 10 body wearing a pair of Calvin Klein jeans. Was the Oprah Liquid Diet a Success? Liquid diets became quite popular once Oprah lost 67 pounds in just four months by following a liquid protein diet. On the front end, that may sound like success, but asked today, Oprah admits "I had literally starved myself for four months," and when the show was over she started eating again. Within a couple of days she didn't fit into her size 10 jeans and her weight continued to gradually climb. 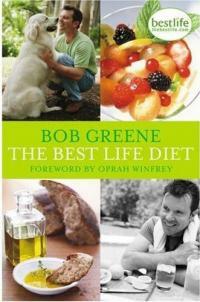 Bob Greene was thrust into the limelight when he became Oprah's weight loss trainer. He has several diet related articles published as well as a variety of health books including his best selling The Best Life Diet. Oprah offers articles written by Greene on her website to help her viewers find a healthy approach to weight loss. His Get With the Program has helped Oprah transform her eating habits and lose weight. Today she doesn't hesitate to say the Oprah liquid diet was a big mistake. The Get With It Program couldn't be further from a fad quick weight loss scheme. It promotes exercise, a balanced diet and an overall healthy lifestyle. The goal of this program is long term lifestyle changes, not quick weight loss doomed to be regained. This diet works to change attitudes toward food and to teach people to listen to their bodies-to eat when you are hungry. Oprah offers access to Bob Greene through her website, for those who decide to follow his program. She's come a long way since that liquid fast, today she looks for lasting results through improved eating habits and regular exercise. 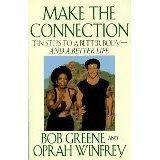 She's written a book with Bob Greene called Make the Connection: Ten Steps to a Better Body and a Better Life. If you're ready to become the best you can be, this book may be just what you're looking for.